We have a new Jaguar at our house. Ten years after Atari introduced its last game console, the 64-bit Jaguar, Apple has named the latest version of its OSX operating system Jaguar as well. A year ago, we bought an iMac that shipped with OSX v1.0 pre-installed  along with the older generation OS9. That first iteration of OSX was buggy and rather non-intuitive and generally a pain. So we stuck with OS9  the tried and true and familiar environment of the Macintosh desktop. But OSX v. 1.02  "Jaguar"  received such glowing reviews that I decided to give it a test spin. Early reaction: A vast improvement over the first version of OSX  it was fully installed and had us online in under a half-hour; far better than the Windows XP I installed for a friend on a P-III 800 Mhz a week earlier. Apple's OSX for Mac is based on Steve Jobs' NextStep operating system he developed while at NeXT. The prominent task bar at the bottom of the desktop will be familiar to anyone who ever used a NeXT. 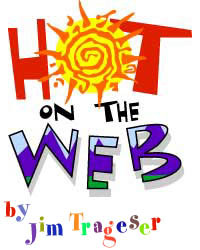 And it was on a NeXT that Timothy Berners-Lee developed the HyperText Markup Language (html>) that still defines the World Wide Web layer of the Internet  the first browsers were designed and ran on the NeXT. So OSX, in a sense, is designed from the ground up for life on a network. I was at a friend's geeking when installing Jaguar  as soon as the install was complete, the new operating system found and recognized his cable-modem Internet connection (I had plugged into his home LAN), contacted his DHCP server, and connected to the 'Net. When I brought the iMac back home  where we have DSL with static IP addresses  changing to our connection took less than a minute: it involved clicking the System Preferences icon on the taskbar, opening the Network panel and typing in our assigned IP address, and closing that panel. The new version of Internet Explorer (5.2) that ships with Jaguar is a solid browser. Unlike the Windows versions of IE, the Mac version is fully HTML-compliant. It also has a slightly different toolbar and interface  ones I've found to be an improvement over the Windows version. And since  like NextStep  OSX is based on Unix, you get a real line-command terminal window. Finally, Mac users get the full functionality of a computer than Windows and Linux users have had all along. Jaguar also includes the AIM-complaint iChat tool  you can can with all your friends who haev an AOL Instant Messenger account. And the built-in e-mail tool has all kinds of anti-spam tools built-in  by clicking on the Spam or Not Spam buttons, you help it filter out all the junk you don't want to get. OS9 users who use their computer primarily for going online may want to take the plunge  Jobs has announced that Apple will shortly end support for OS9; that new applications for it won't be licensed. OSX Jaguar is as easy to use as the legacy Mac environment, just as stable, and more and more software is coming out for it every day. Next week: Home networking with Jaguar.